Through its education, community service and job training programs for Lawrence youth, Groundwork Lawrence cultivates respect for the environment, social awareness, and healthy behavior, preparing young people to be positive role models and future leaders in their community. The EPA funded Training for Sustainability program will prepare unemployed and underemployed workers for jobs in the areas of recycling/solid waste handling and disposal, sustainable landscaping, and deconstruction. Local residents will be trained for green jobs in the Merrimack Valley that will protect the health of local families and residents and prepare communities for continued economic growth. 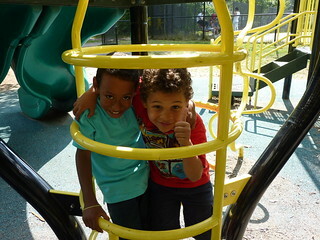 Groundwork Lawrence achieves results by engaging the community it serves in its mission. Its education programs, volunteer events and family activities are designed to foster ownership among participants in making Lawrence a safer, healthier place to live. Each year, Groundwork’s community programs attract increasing numbers of residents who are passionate about their city and doing their part to change it for the better.